BenQ ZOWIE has announced its association with Taiwan Excellence Gaming Cup ’2018 as e-Sports Monitor partner. Taiwan Excellence Gaming Cup ( TEGC) is a property of TAITRA and is happening for the 5th year. The TEGC 2018 brings together the three top games – CS: GO, DOTA 2 & PUBG and teams participating from all across India. This tournament started with online qualifiers on 16th July followed by offline qualifiers on 27th July in Chennai, Hyderabad, Bangalore, Mumbai, Delhi & Kolkata. The on-grand finale event will commence from 19h to 20th October in Mumbai at Infinity Mall, Malad. ZOWIE brand was acquired by BenQ in 2015 to represent the company’s eSports product line and is focused on gamers who are willing to get into competitive gaming or are already into it. All the matches of Taiwan Excellence Gaming Cup ’2018 tournament will be played on the award winning BenQ ZOWIE XL2546 eSports monitor. BenQ ZOWIE XL2546 comes equipped with BenQ ZOWIE’s exclusive technology – “Dynamic Accuracy”. The feature maintains remarkable clarity during in-game movements providing smoother experience. It also features Color Vibrance and Black eQualizer technology, fine-tuned to optimize the color performance and increase the visibility in dark scenes respectively. The monitor also has a native 240Hz Refresh Rate that catches every detail of motion and ensures a flawless view of fast-motion through 1ms response time. The XL2546 is available at a price of INR 46000 on Amazon.in. 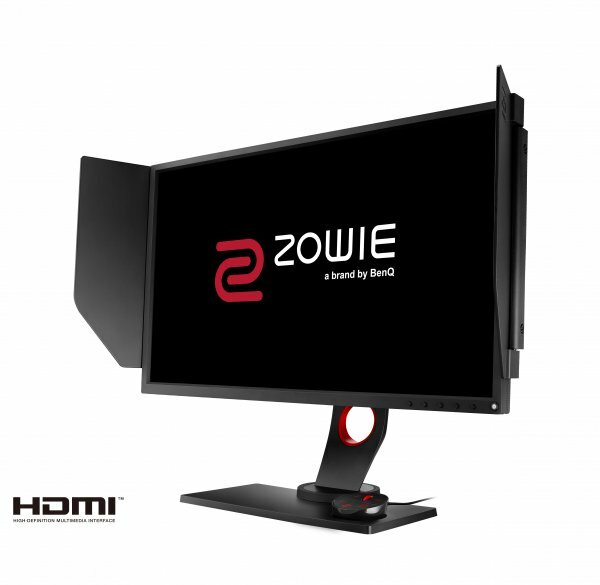 ZOWIE will display its range of monitors including, XL2546, XL2720 and XL2411P. ZOWIE’s XL-series features the premiere e-Sports monitors for PC competitors, fine-tuned to guarantee the smoothest and responsive experience, and the clearest images to arm you for competition. ZOWIE will also display its full range of gaming gears which consists of mouse, mousepads and Celeritas II keyboard. Mouse includes most popular EC, FK and ZA series along with newly launched EC1-B & EC2-B CSGO Edition. EC-B (CSGO Edition) mouse are exclusively designed for right-handed users. It offers users a bigger room for wrist movements. The shape of the right side of mouse is well rounded. It allows the user’s fingertips to hold/cover the mouse to move smoothly. EC-B Series with 3360 sensor comes in two sizes to fulfil different needs. EC1-B and EC2-B (CSGO Edition) are priced at INR 5900 on Amazon.in. In addition, ZOWIE will also be displaying CAMADE and VITAL which are also available on Amazon at INR 2250 and INR 6800 respectively. CAMADE is a solution for inconveniences with the mouse cable such as space constraints or cable entanglement.